The Ultrac Vorti is an Ultra High Performance tire in the absolute top segment of the market. 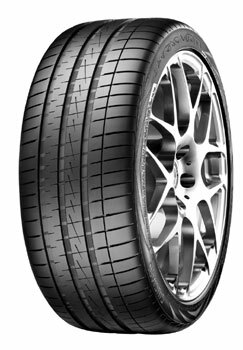 The tire was developed in close collaboration with the Italian design company Giugiaro, and its slimline design and asymmetric profile give this tire an extremely sporty and unique appearance. Flexible points in the middle section of the tread for low rolling resistance and improved braking distance on wet roads.